Susie sold my condo in 3 days at more than the asking price, we had 7 offers! She was instrumental in advising me on how to prepare the property and was honest about the current market situation. Her professionalism exceeded all of my expectations. Susie is exceptional. She exhibits the highest level of honesty in her transactions. I felt very comfortable working with her. She always gave me all of the information available even if it might not have benefited her. Susie did a great job for me, I trust her completely and intend to use her for all my future Real Estate dealings. I contacted Ms. Hayter after finding my dream house. She was immediately responsive and a wonderful advocate while dealing with difficult sellers. Also, my parents are Japanese Nationals and were involved in the transaction. She was respectful, timely and accommodating to their specific needs.Since the purchase of this home, Ms. Hayter has assisted us with our other properties as well. She has been highly ethical and a strong advocate regardless of the situation. She was so efficient and very professional! in a time when this is not always so. We were very pleased that in one week our house was sold after having been listed with another agent for six months. She kept us informed on a daily basis of all the things we needed to know and was always one step ahead of us all the time. Susie raised the asking price of our home and sold it in less that a week at a far price and both sellers and buyer were more than thrilled! This lady went above and beyond. This kind of service is sought after but not always found. You should be so fortunate to have her as your Realtor. Susie listened carefully to our specifications for our new home then found us a property that exceeded all our dreams yet still within our budget. She explained and walked us through every step of the purchase process. Susie made multiple trips to our workplaces with paperwork so we were never required to disrupt our work schedules. I recommend her to everyone. Susie exudes integrity. I found no indications of anything but the highest of ethical standings in my dealings with her. I trust Susie completely and will refer and use her for all future real estate needs. She is the best. true asset to East Oahu Realty and a role model for her peers. I am a service member and my assignment changed which required me to sell my home. I had a relatively short timeframe to work with and Susie was able to come through for me. Intuitively understanding the demands of my job, she stepped in and practically took care of everything which was simply amazing! She helped me stage and photography my home, saved me money on things like the survey, negotiated with the different realtor’s when we had multiple offers, and even helped me fix an electric bill error five months after I sold the house. This is the second time I have worked with Susie and I feel that she has, yet again, gone above and beyond what I would expect of a realtor. I felt gratitude and am happy to give her my business in the future. Initial contact with Mrs. Hayter was in 2010, when we were considering an early retirement followed by a move to Arizona. Things changed, thus there were several postponements of our plans. Finally, everything fell into place allowing us to relocate in February, 2016. The most meaningful part, of which there were many, that Mrs. Hayter did was that from her initial visit with us in 2010, through no less than three or four postponements, she was patient, supportive, optimistic, always available to us, with advice and with what we needed to do and when, to make our plans come to fruition. We’ve all heard of “second mile” service. In Susie’s service to us, it was more like “ten mile” service! She NEVER failed in getting in touch with us, and walking us through the various steps we had to fulfill. She was realistic in what she needed from us, and tremendously trustworthy in what we could expect from her. When the time came for us to sell, regardless of her prior visits to our residence, she came again. She suggested to us the improvements we could make and then outlined the timeline of how the apartment would be advertised. February lst came and my wife and I closed the door behind us for the last time, fully trusting and confident in Susie’s plan to market and sell our residence. Upon our arrival in Arizona, through constant contact via phone and e-mail, Susie kept us posted on all the offers we had and gave us sage advice on which one looked best. Her local knowledge and experience proved to be spot on! With the strength of that offer, my wife and I then proceeded with our plans to buy a “favorite” house here in a perfect community for us. So, not only did Susie work with us, but countless times, she simultaneously phoned and/or e-mailed our Realtor here to keep her posted as well. Susie’s advice and experience led to our prior residence selling for more than we were asking, with only a few days on the market, and made sure our prior residence in Mililani closed as quickly as was possible, thus making our purchase here a reality. Before we had left, Susie told me, “Dave, let me worry about things here. Don’t have any stress about what’s going on in Hawaii. I’ll take care of all that. Just have a great move to Arizona.” I didn’t know then the weight of those words. But as this transaction went through its various steps, I realized how true they were. By her expertise, and more importantly, by her care, compassion, and a whole lot of extra time and effort, she made this as worry free and as easy on us as was possible. We are grateful for her. And, in essence, isn’t that the job of a Realtor? 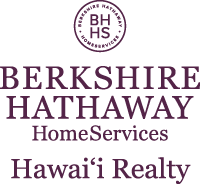 Now, several months removed from our transaction, there have been a few occasions where a question has arisen on the sale of our Mililani property. What we’ve found so very rewarding is that Susie is just as available, just as helpful, compassionate and quick now as she was when we initially called her some six years ago! What a joy she is to work with. Thus, my wife and I are proud to nominate Susie for this award. She is the epitome of what comes to mind when I hear the word “Realtor.” By her standards, work ethic and compassion, she brings even more respect and honor to her profession. She has truly earned this nomination, and I truly hope she wins. Being an Aloha Aina recipient is a high honor. But, eventually, that honor will fade. What will never fade is the trust, love and friendship that has developed over the years of our knowing her. Susie will be a winner regardless. We thank you for receiving our nomination and hope this recognition comes to one so deserving of it.